As opposed to the spirit animals many call upon to explain and embody different traits in their lives, I find myself drawn more to “spirit monsters” who help me understand myself as being a bit different. I also happen to be a total nerd, so it’s really no surprise that I’m a big fan of the work of H.P. Lovecraft. Lovecraft’s work laid the foundation for the genre of cosmic horror and the creatures he created continue to horrify. His influence can even be seen in horror and science fiction to this day. The first of his works that I read was At the Mountains of Madness, and if you haven’t read it, I definitely suggest that you do. It’s a classic tale of an Antarctic expedition that discovers more than they bargained for when they uncover the remains of an ancient and alien civilization. Recently I’ve been inspired by the monster of this story and found it a perfect embodiment of the way I developed my identity through difficult circumstances. If you don’t know the full story of At the Mountains of Madness, consider this your warning that spoilers lie ahead. The nature of what truly lies below is a major plot point, and if you plan to read the story, I’d recommend you do so before continuing. The expedition uncovers a still living creature deep beneath the ice, a monster known as the Shoggoth. The Shoggoths were created by a strange elder race as a versatile slave, able to form and reform itself to suit any task. It was itself formless, merely a mass of organic matter made to suit the whims of the Old Ones. I too felt as though I was born formless, reaching tendrils of matter out to try and operate the world around me in any useful and meaningful way. 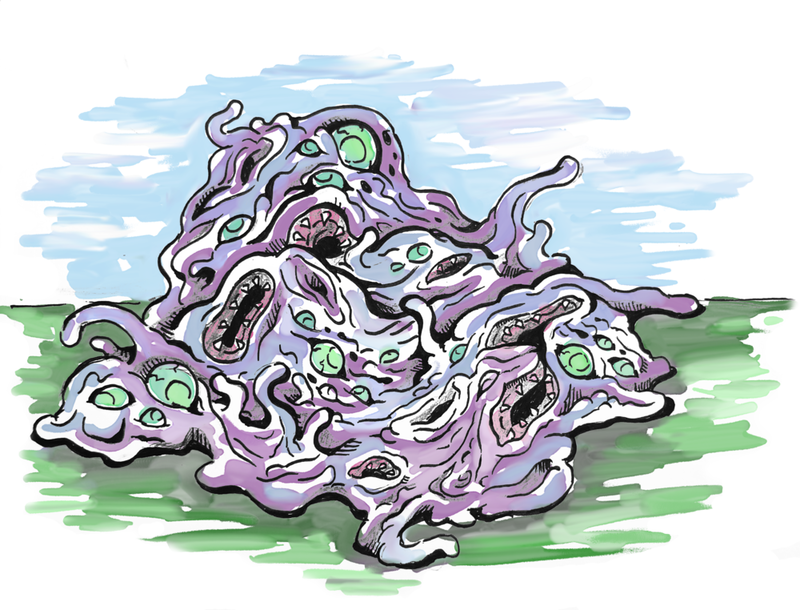 However, the Shoggoth is also described as “faintly self-luminous,” and I think this perfectly describes my early inner life. I did not have a form as such, but there was, at least, a small sense of who I could become. A faint inner light that would guide me in the years to come.